Serving as the capital of Romania, Bucharest is not just the industrial and financial but also the cultural hub of the country. It truly justifies the title of being the most prosperous city in Romania with its alluring city vibes, picturesque landscapes, awe-striking architecture, insta-worthy cafes, and friendly locals. No wonder, It is known as the ‘Little Paris of the East’. Blessed with the European influence, the places to visit in Bucharest are rich in historical culture, glinting a hint of the Victorian era through their colourful narrow lanes and artistic historical monuments. 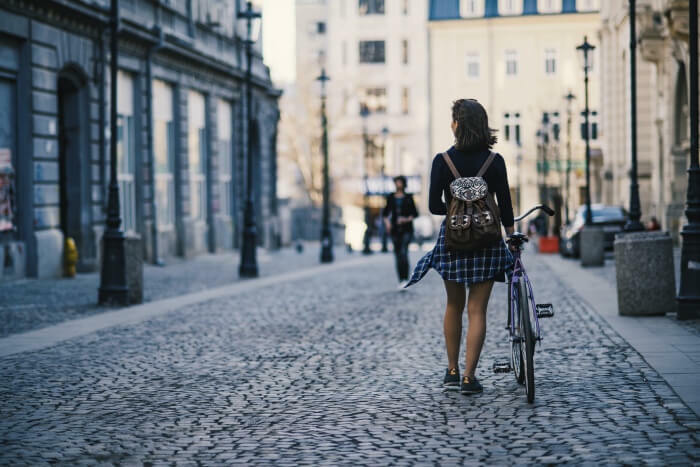 The equable climate, well-maintained transport system, and welcoming vibes make Bucharest one of the safest and most likeable tourist destinations places in the world. There’s a lot to see in and learn from this capital city of Romania and some of the places here should never be missed during your exploration. So, here is a list of some of the best places to visit in Bucharest you should consider whenever you plan to come to this city! Located around Herastrau Lake, it is the largest park in Bucharest. 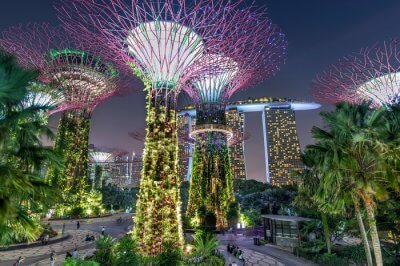 It features a Japanese garden and an open-air theater to keep you entertained with various performances with mesmerizing views as the backdrop. It is a famous place to simply chill around or hangout with your family and friends. It is the ideal escape from the city hustle as you get to experience peacefulness and the serene ambience of this place will make you forget everything. 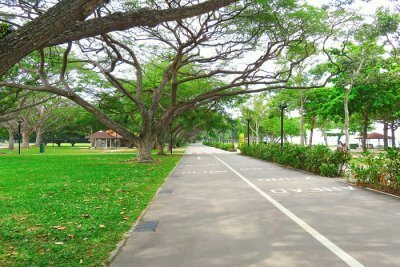 Take a stroll through the lush green trails or rent a bicycle to explore this park. You can also go for boat rides and give yourself a blissful memory to cherish. This beautiful historic church is located in the Old City. Built in 1724, this church is an epitome of awe-inspiring art and architecture. The whole church is dominated by the bewitching Brancovan architectural motif and hence is famous all over the city for its uniqueness. Witness the beautifully carved doors and windows, supported by the soothing coloured walls featuring the 18th and 19th century painting hanging on the walls. You can get to see the Lord Nicolae Mavrocordat throne, which is one of the most interesting artifacts of the city. Being the second largest administrative building in the world, Palace of Parliament is not just the pride of Bucharest but of the entire Romania. 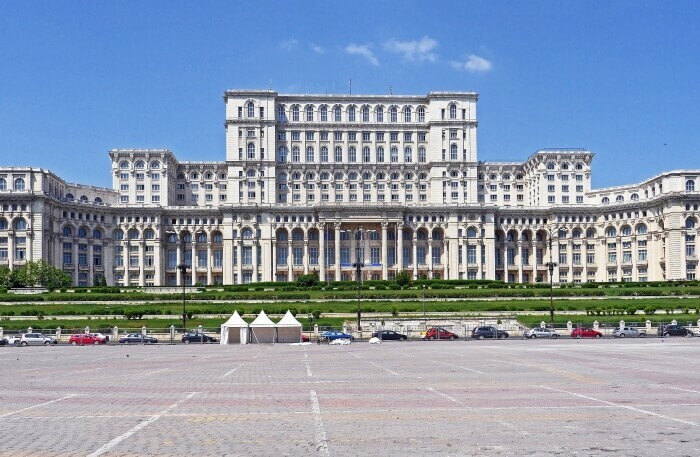 This huge building is the parliament of Romania and its architecture is based on the exquisite Stalinist style. The decor is based on the neoclassical theme, housing more than 3000 rooms with ultra-lavish facilities. Make sure you buy tickets to visit this place and experience the luxury lifestyle and political ambience of Romania. This palace in Romania screams the richness of their culture from every corner. 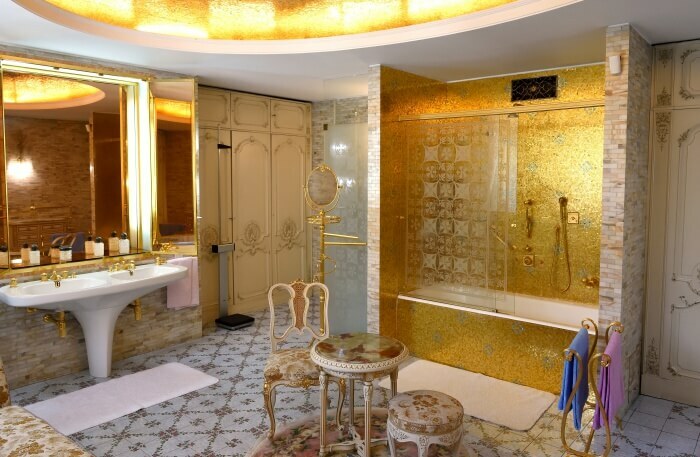 As you walk though this place, you get to witness the lifestyle of the Former Romanian president Nicolae Ceausescu who lived here with his wife as it was his residence. As you enter into this luxury mansion, you get to see some renowned works of art hanging on the wall in the form of painting and even sculptures. This 80-room mansion features swimming pools, serene gardens and all things luxury. So visit this place and dive into their luxurious lifestyle and the historical era of Communist regime of Romania. For all those who would love to blend into the local culture of Bucharest, this is one of the best places to go in Bucharest. 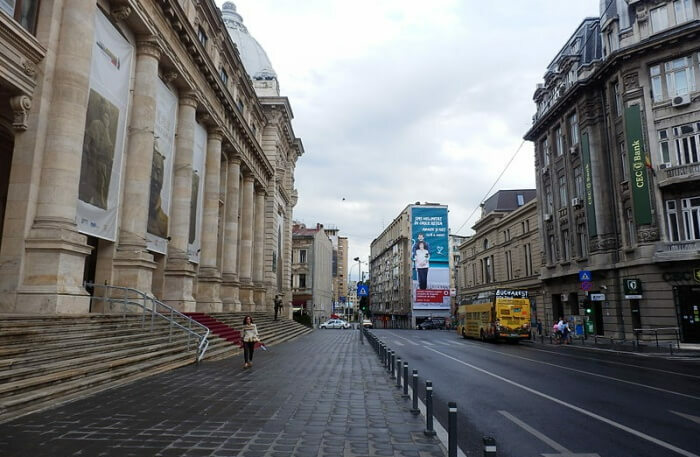 This street has the majority of tourist attractions like George Enescu Museum, the National Museum of Art of Romania, Odeon Theatre, Revolution Square, and Kretzulescu Church! This street is the best known thoroughfare of Bucharest, as it is a hub for most of the tourist spots of the city. The vibe of this place is electrifying and full of enthusiasm. Along with that, you can also come here to shop and try the local food delicacies in some of their best known restaurants. You can avail some good accommodation facilities, as they have got some of the best hotels in town. Also, if you come to Bucharest, make sure that you experience the nightlife of this city by coming to this street. 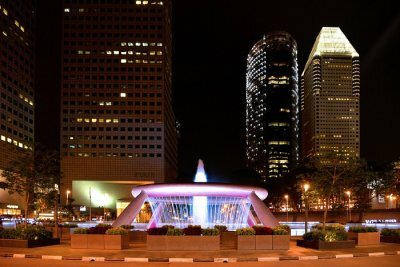 At night, the locals of the city come and gather here to party, have dinner, or enjoy some music concert. This is basically the heart of the city. 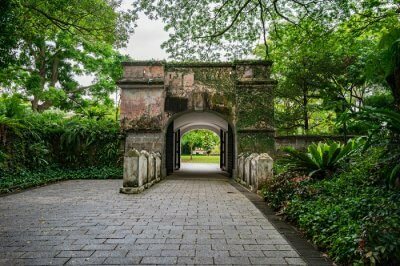 This park is themed on English style garden which is a great option for people who want to escape the ever-bustling city life for a while. 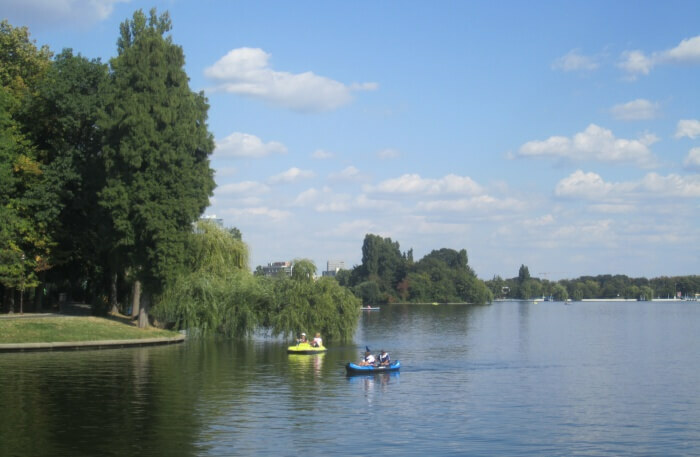 This peaceful park features monuments, fountains, and a famous boating lake. 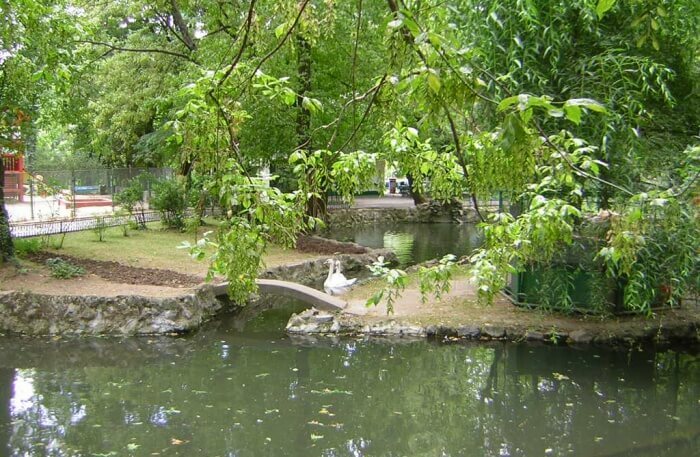 Being the oldest public garden in Bucharest, it reflects rich European influence through the structure of monuments. With more than 30,000 tree and plants, this is the perfect park for those who love nature and have an affinity for greenery. 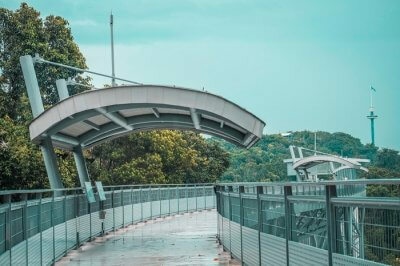 It also has a café, restaurant, and refreshments kiosk with the area of the park itself so that you can satisfy your hunger in the midst of nature. 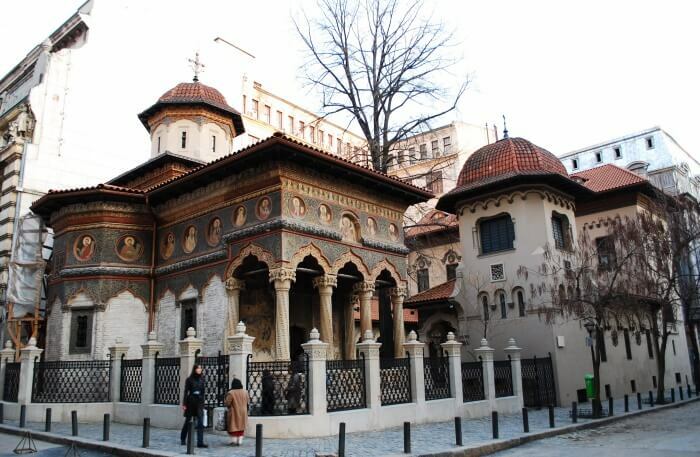 Opened in 1834, this museum gives you an insight of the history of Romania. 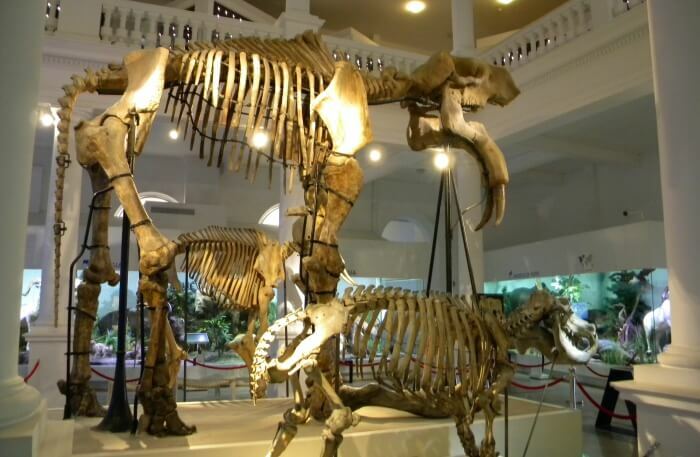 It showcases more than 2000 exhibits, including dinosaur fossils, minerals, and the native Romanian plants and animals. To add much to your delight, they also have the largest butterfly collection in the world. Other than that, they have interactive displays that help in enriching your knowledge. So, this is one of the best places to visit in Romania, Bucharest. It is the oldest operating hotel which was built in 1806. It is popular because it has been the location for so many historical important events like the peace treaty that ended the Russo-Turkish war in 1812. 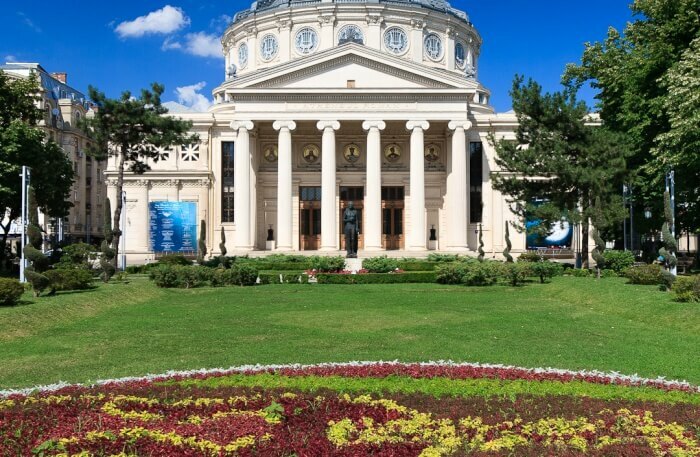 This awe-inspiring cultural landmark is a three-storeyed building showcasing facets and important documents that led into shaping the modern-day Romania. It is the ideal place for all those people who are interested in knowing the political transforms that happened in Romania. This iconic museum in Bucharest houses a collection of textiles, ceramics, icons, historic sculptress, awe-inspiring painting and a lot more. Here, you will get to see the artifacts that represent rich and pleasant lifestyle of the Romanian empire. This is a must-visit place for all those who are a sucker for art, as it will take you into the cultural depth of the city. This landmark is one of the best-known examples of the stunning neoclassical domed building in the entire country. Opened in the year 1888, this place acquaints you with the Albert Galleron style architecture, which is a splendid work of art. 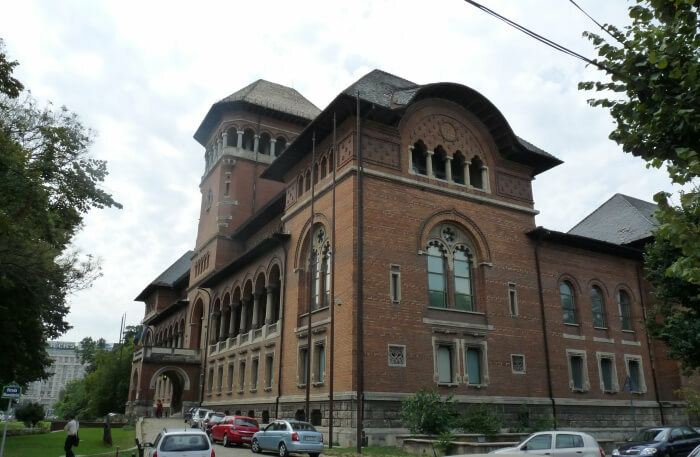 This historic building houses the George Enescu Philharmonic Orchestra, so you also get to attend the annual international music festival featuring some phenomenal performances by world renowned artists. This building houses 800 guests at a time and is a must visit. So, if you ever come to Bucharest, make sure you visit this place and witness the largest cultural fest in Romania. Also known as the Village Museum, this place was opened in 1936. This is an open-air museum that features several historic houses, farms and other artifacts that belong to century’s old timeframe. 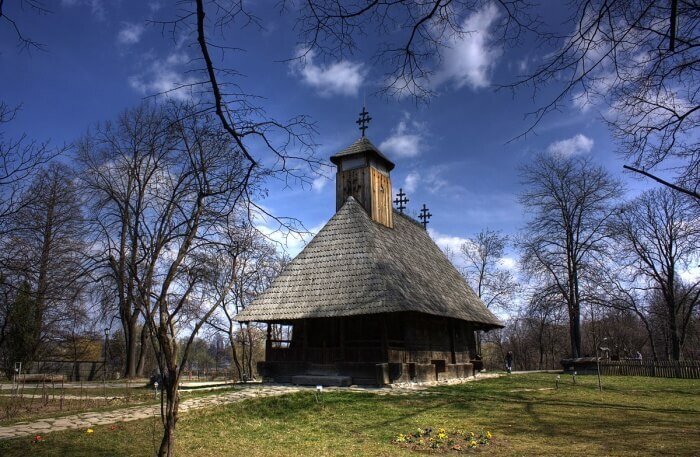 Some of these structures showcase the artifacts of the 19th century which were rebuilt on this place taking inspiration from other parts of the Romania. Also, since it is located on the shores of located on the shores of Lake Herastrau, it presents a picturesque view that can leave you spellbound for days. 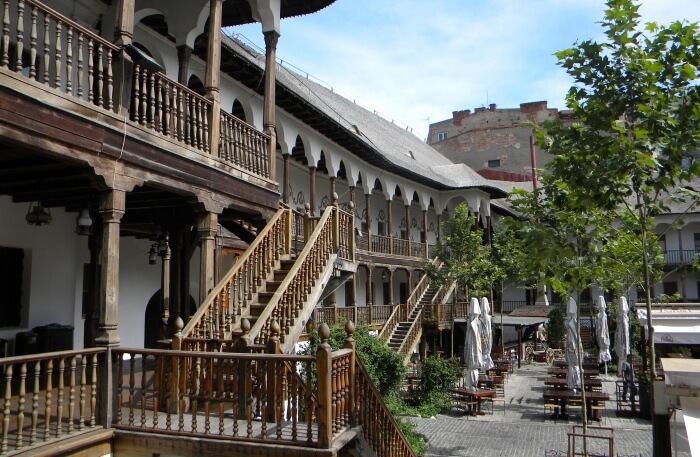 This museum gives an opportunity to dive into the history of Romania and get familiar with the rich culture. Whenever you come to Romania, make sure you make a visit to Bucharest and discover most of these places listed above. These places to visit in Bucharest will take you on a journey of the rich Romanian culture. When planning for a vacation in Europe, don’t forget to add Bucharest in your list to have some of the best experiences of your lifetime.